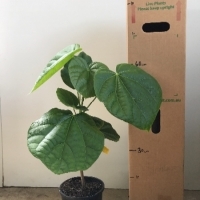 The Matisia is a fast growing tropical tree native to the lowland rainforests of Peru, Equador and adjacent areas of Brazil. In its native forest it can grow to 45m but in cultivation it reaches about 12m. Sometimes seen as a buttressed tree, it is semi-deciduous and has tiered stiff branches in whorls of five. The leaves are clustered in rosettes towards the ends of the branches. Attractive flowers that are either yellowish white or rose tinted are bourne along the lesser branches and trunk, these are followed by the fruits in late Summer and Autumn. 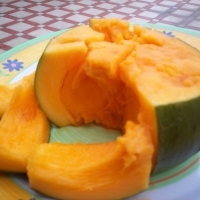 The rind is thick, leathery, greenish brown and downy. 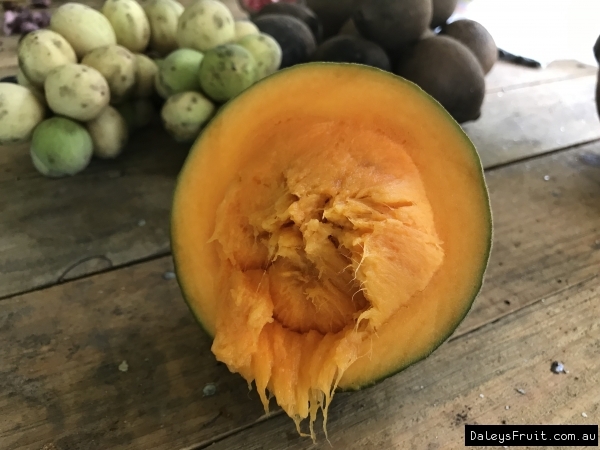 The orange- yellow fibourous flesh is soft, juicy and sweet with a flavour reminiscent of pumpkin. This surrounds the 2-5 seeds. Fruits are picked when a light coloured halo appears around the calyx, they soften to ripe in 3-4 days. The matisia will grow best in hot, humid areas, it needs protection from cold and wind.